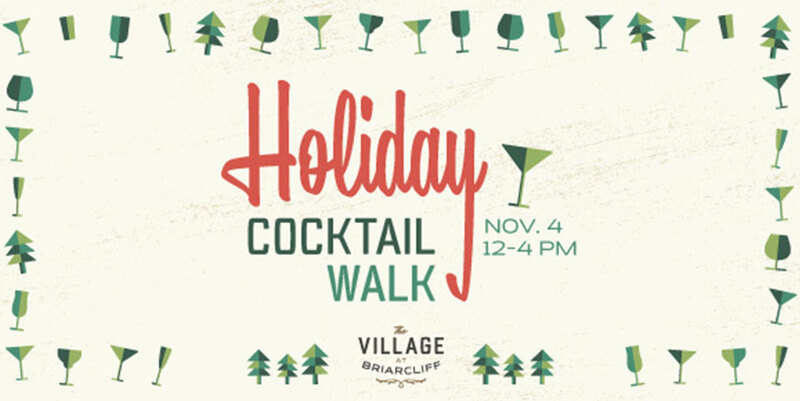 Head to the Village at Briarcliff for our Annual Holiday Cocktail Walk. Stop in your favorite boutiques and stores to sample Holiday cocktails and libations, like peppermint schnapps and hot chocolate and cranberry mimosas. Mention Feed Northland Kids for 10% of your sale to go directly to this wonderful organization that provides healthy, kid-friendly foods for school-age children, living in the Northland of Kansas City, MO. Also, stop in the breathtaking Nell Hills’s Holiday Open House to get inspired and prepared for all your seasonal home decor!